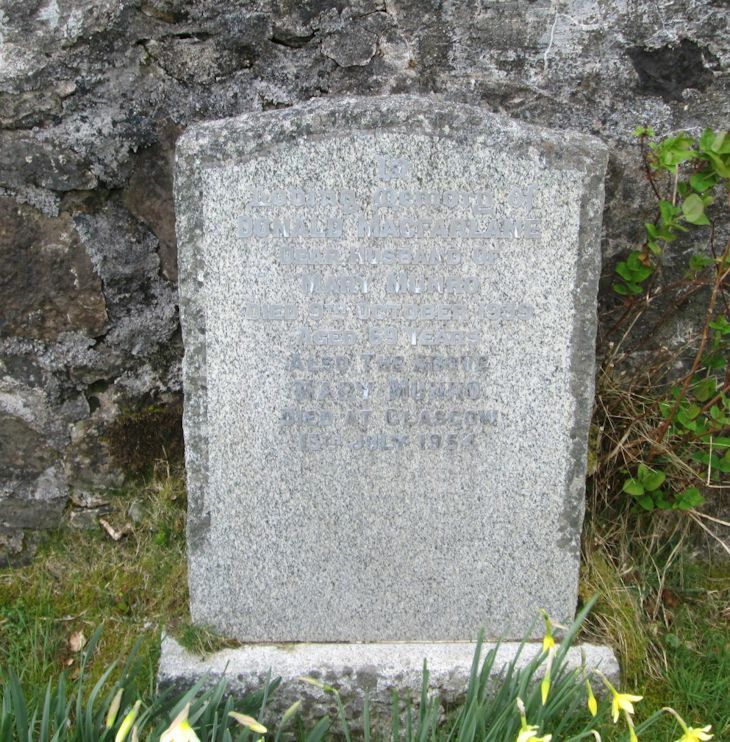 Skye Gravestones | Donald & Mary (Munro) Macfarlane. Donald & Mary (Munro) Macfarlane. In/loving memory of/DONALD MACFARLANE/dear husband of/MARY MUNRO/died 9th October 1939/also the above/MARY MUNRO/died at Glasgow/13th July 1954. Picture Added on 16 April 2014.